Admission: From $4 and up. 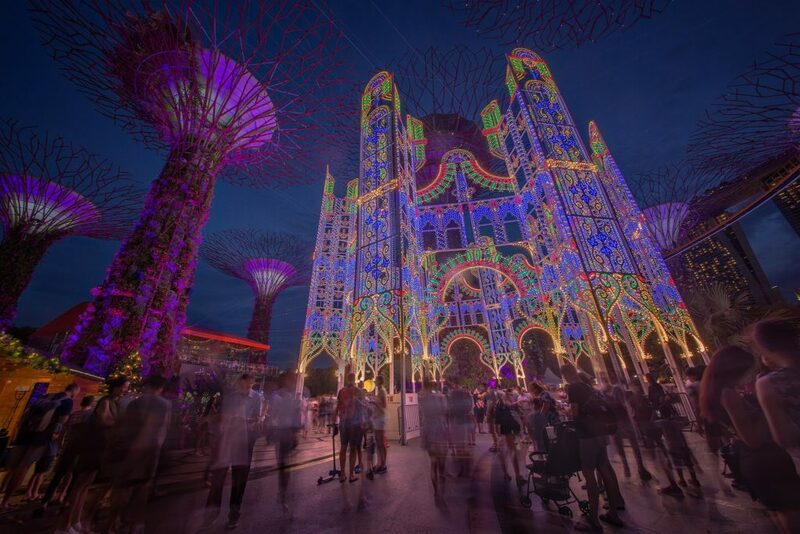 The fourth edition of Christmas Wonderland at Gardens by the Bay returns to Singapore for more festive feels, tropical climate and mosquitoes be damned. The Luminarie light sculptures are of course a must-see, as each one is painstakingly handmade by Italian craftsmen then transported to the lush grounds of Gardens by the Bay. The highly-acclaimed Circus Abyssinia will also be making their Asian debut at the festival, so catch their gravity-defying performance if you have the time. Lastly, what’s a Christmas festival without some good food eh? Check out SAVOUR for a European-style festive market, with gourmet eats from well-known restaurants like Pollen, Saint Pierre and Salted and Hung. Admission: From $53 and up. 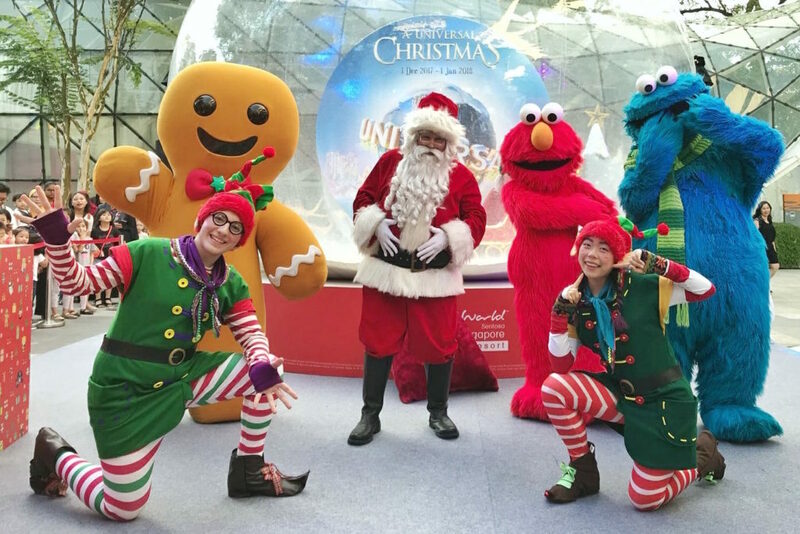 Universal Studios Singapore is celebrating Christmas the old fashioned way this year, with (fake snow) sleigh rides, good ol’ Santa and of course, plenty of presents. Kids (or kids at heart, ahem) can help Santa prepare presents at his immersive workshop, or have gifts sent to recipients via the North Pole Postage Service (hey, even SingPost needs a break during Christmas). Other event highlights include a meet and greet session with Hello Kitty, appearances by Sesame Street characters and a spectacular after-dark performance with aerial acrobatics, special effects and projection mapping. 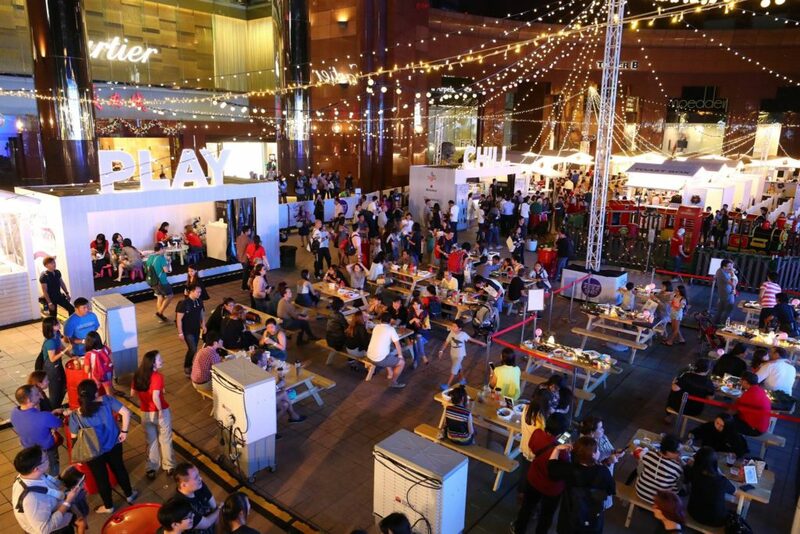 Ngee Ann City’s Civic Plaza (you know, that big open space in front of the building) has received a Christmas makeover this month, with an open-air market, amusement rides and Santa’s House to bring more festive cheer to Orchard Road. If you happen to be in the area, be sure to swing by The Great Christmas Village for some last-minute shopping, live performances and bites by vendors like PAUL and Starbucks. If you’re travelling this festive season, schedule in a bit of time to check out Changi’s Mystical Garden at the Terminal 3 Departure Hall (Level 2). 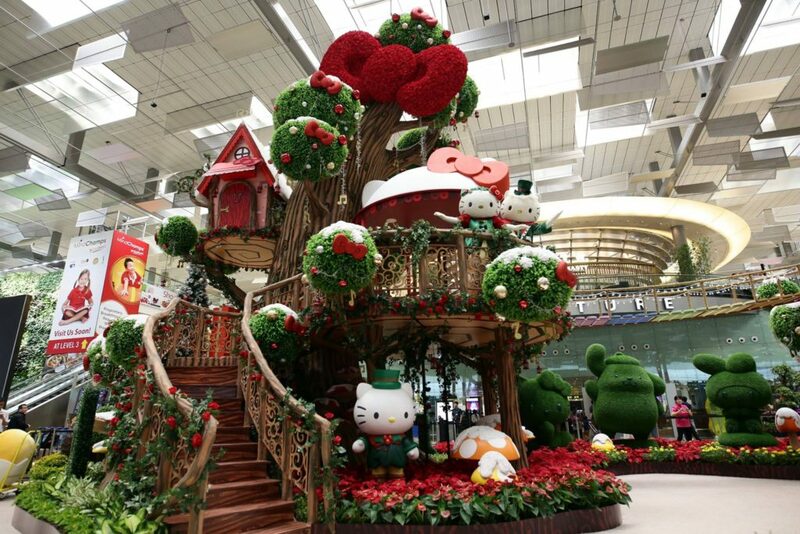 The installation features a huge treehouse and gazebo, complete with life-sized Sanrio characters such as Hello Kitty, Gudetama and My Melody. There are also daily light and snow shows at the Mystical Garden, with plenty of festive music, colourful lights and fake snow to get you in the mood for Christmas. 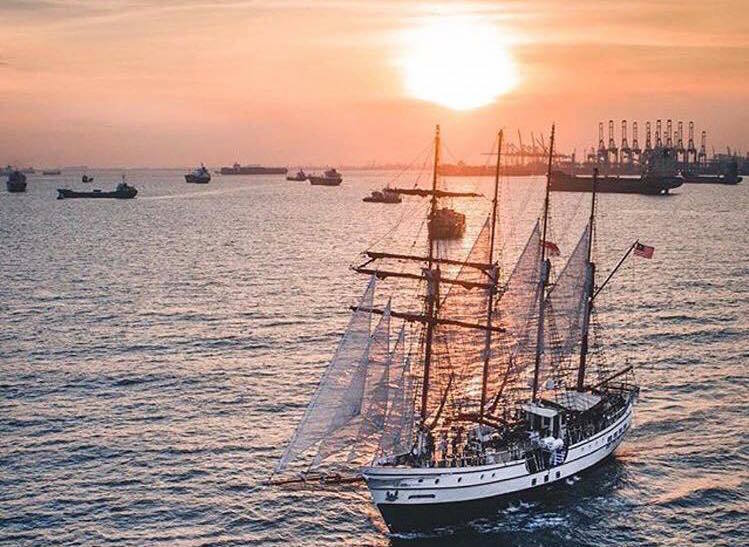 If you’re so over crowded shopping malls and festive markets, hop aboard the Royal Albatross instead for a Christmas Sunset Cruise. Guests will enjoy a Christmas feast amidst plenty of festive cheer, as the luxury yacht cruises through the equatorial waters of Singapore. Plus, it’s the perfect excuse not to pick up any calls or answer emails – after all, we hear the reception is pretty spotty out there. Tickets: From $30 – $80. Looking for a laid-back celebration of sorts? 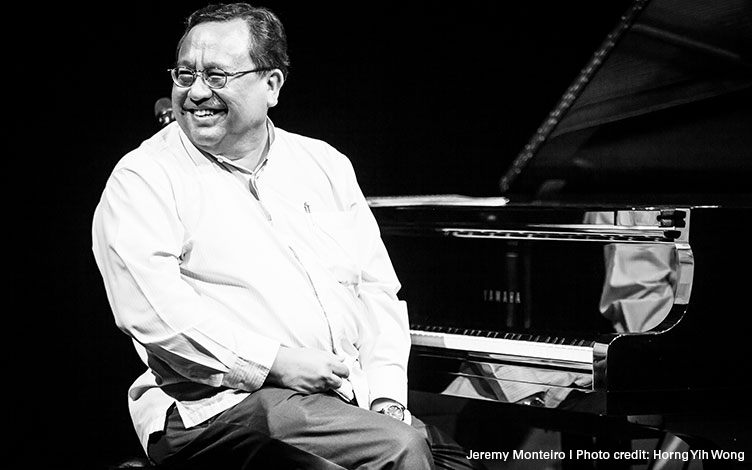 Catch local “King of Swing” Jeremy Monteiro at Jazzy Christmas – A Kaleidoscopic Christmas, as he and his friends perform a mix of swing, blues, bebop and jazz for the Christmas season. Joanna Dong, who represented Singapore at the Sing! China finals, will also be performing at the concert.